The measurement of water quality is critical in many different industries including food and beverage, water and wastewater, oil and gas and chemical along with many others. It can be important to understand and record the levels of various parameters and also control the level of chemicals in a solution. Bell Flow Systems were recently approached to provide a solution to monitor the level of chloride in a stream and to transmit this data to control dosing to maintain a set concentration. Using equipment from Electro Chemical Devices we were able to provide a chloride sensor married with a digital transmitter offering an accurate, reliable and user friendly package. 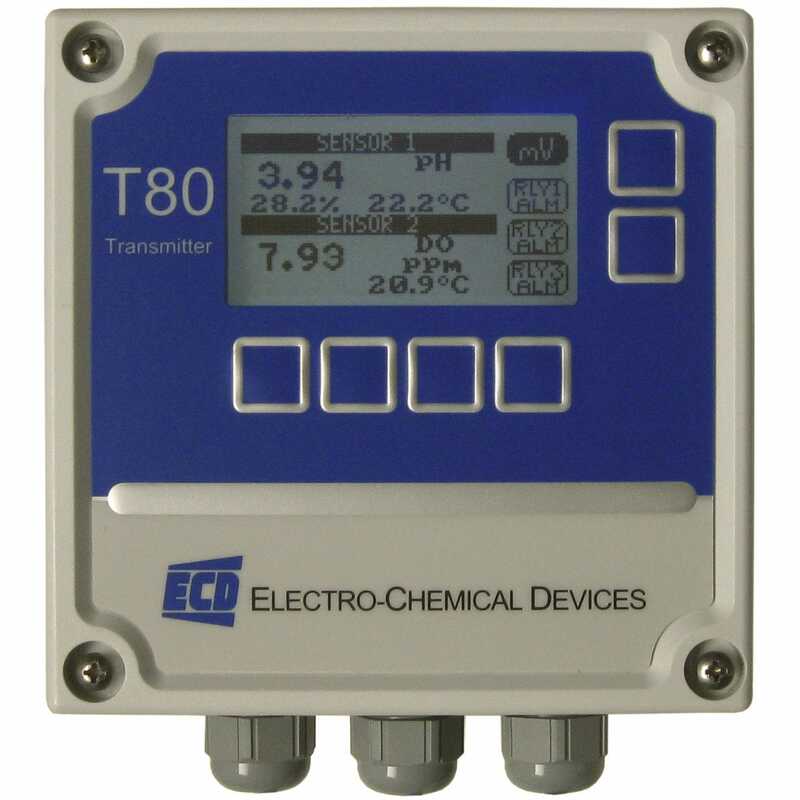 The T80 transmitter is designed as a universal transmitter to accept various different sensors for pH, ORP, Dissolved Oxygen, Specific Ion, conductivity or resistivity measurement and has two channels to simultaneously measure two different parameters. The transmitter allowed the user to read the measured values, which could be viewed graphically, as a percentage of the 4-20mA scaling or as the measured value and also to use a 4-20mA output to control the dosing and maintain an accurate chloride concentration. Relay outputs were also used to trigger alarms when specified values were reached. The transmitter also offers Modbus, and HART communications making this a versatile unit for many industrial applications. The simple menu structure and easy to read LCD display makes this very user friendly and an attractive choice for clients.